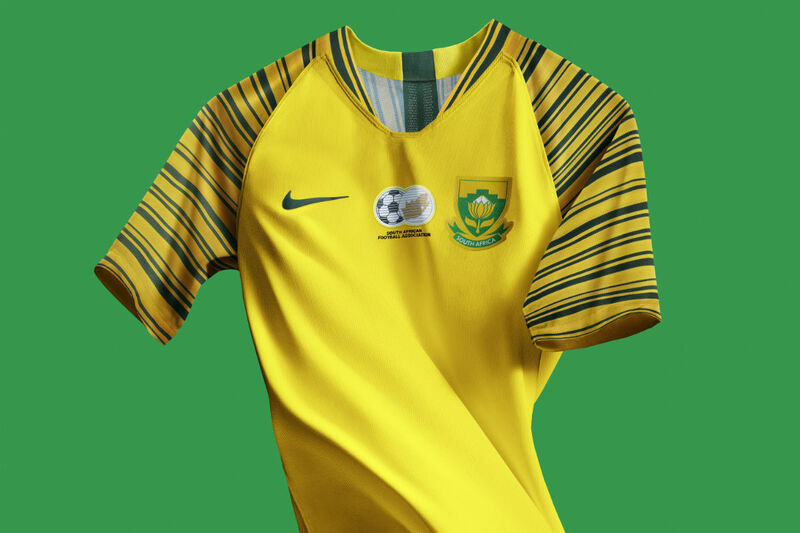 South Africa’s involvement with Nike has been a positive one, with the national side benefitting from some exciting football kits from the American manufacturer. 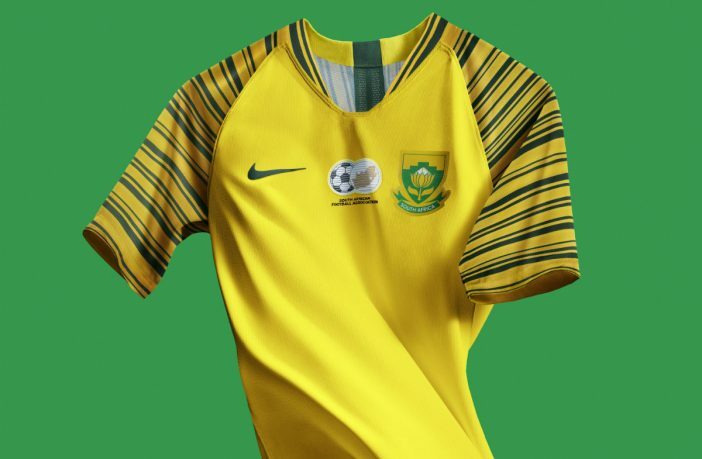 Nike has now revealed Bafana Bafana‘s latest jersey for the upcoming internationals, and it’s quite the eye-catcher. Sticking with the iconic yellow but detouring away from last season’s more retro-inspired look, the new jersey is a far more contemporary take on the traditional Bafana design, being embellished with a powerful print on the sleeves, along with a more simple collar than 2017’s design. The away kit is an inversed design, opting for a bold green with a cascading horizontal pattern as an alternate strip. The new jersey will be seen on the squad for their build-up and forthcoming games leading up to the 2019 African Cup of Nations tournament. 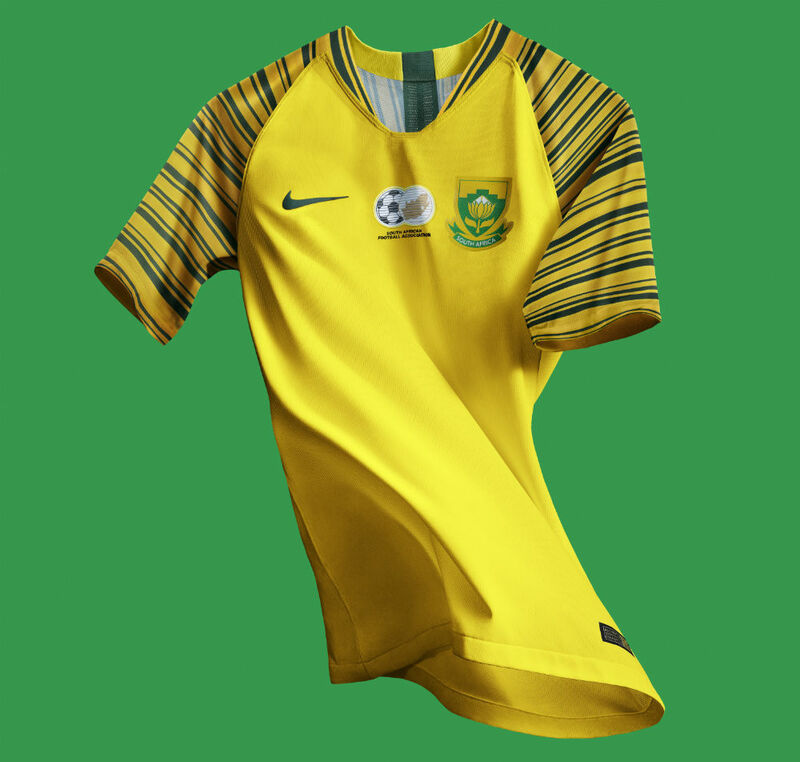 The new Bafana Bafana jersey is available now; and you can shop a wide range of football jerseys on PriceCheck!